We’d love your help. Let us know what’s wrong with this preview of The Om Tree by F.T. McKinstry. Download for free on Smashwords. “The Om Tree” was originally published in Tales of the Talisman, Volume 7, Issue 3. This story is also included in Wizards, Woods and Gods, Second Print Edition. 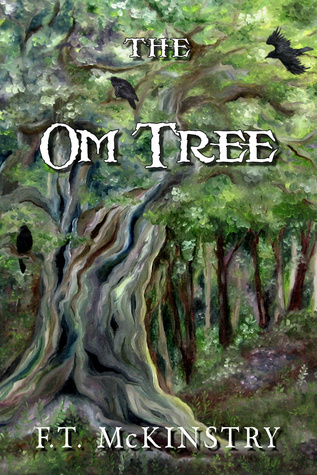 To ask other readers questions about The Om Tree, please sign up. I enjoyed this short story. Birth, death and birth. F.T. McKinstry grew up studying music and reading books. An old-school fantasy geek, she acquired a deep love for fantasy, science fiction and the esoteric, of which she was an avid reader. With a background in computer electronics and software development, she wrote and illustrated technical documentation for many years, during which time she created fantasy worlds. She is inspired by plant and a F.T. McKinstry grew up studying music and reading books. An old-school fantasy geek, she acquired a deep love for fantasy, science fiction and the esoteric, of which she was an avid reader. With a background in computer electronics and software development, she wrote and illustrated technical documentation for many years, during which time she created fantasy worlds. She is inspired by plant and animal lore, Northern European legend and mythology, fairy tales, mythical creatures, music, medieval warfare and shamanism.